The spring/summer 2016 sartorial season is here. It’s exciting, it’s bright, and it’s brimming with wildly different looks. From the well-behaved tone of some trends to the bad boys/bad gals air of others, from lingerie as outerwear to lively colors and graphics contrasting with silvery greys and tailored black suits, this season has it all. We curated some of the most outstanding fashion trends of spring/summer 2016 so you can find your spiritual sartorial place within any of them. Perhaps within more than one as this season’s mantra is ‘Mismatch and look fabulous’. Yes, it’s the same slip dress that quietly retired from your wardrobe just some years back. Only this time it’s back with a slinkier look. We are talking about lingerie-inspired clothing with an added twist. A few details added here and there to make the slip dress look less like ‘underwear worn as outerwear’ did the trick. The new slip dress keeps its unconventional, rather quirky air. Nonetheless, there will be lace, satin, and see-through chiffon to make the slip dress ready to wear. Besides, this item renders itself perfectly for layering. Fine knits should do the trick. Ruffles are in for the summer/spring 2016 season. Chances are these feminine details will stick around for a while. As such, investing in a few ruffled pieces may be a wise choice. The romantic look comes in a wide variety of shapes and sizes. When it comes to ruffles, both quality and quantity matter. 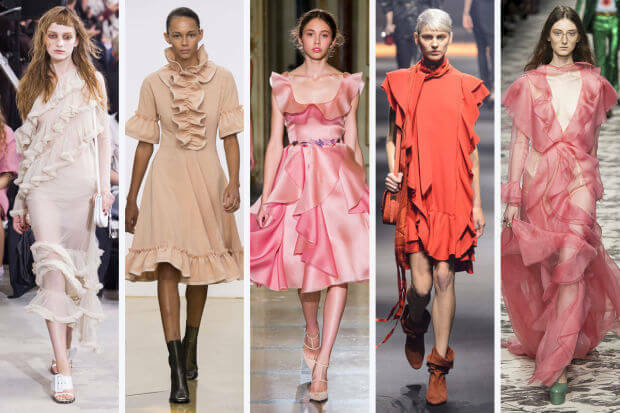 Choose between minimal and structured ruffles tiers, messy shredded ruffles or the large flamenco dresses inspired ruffles. 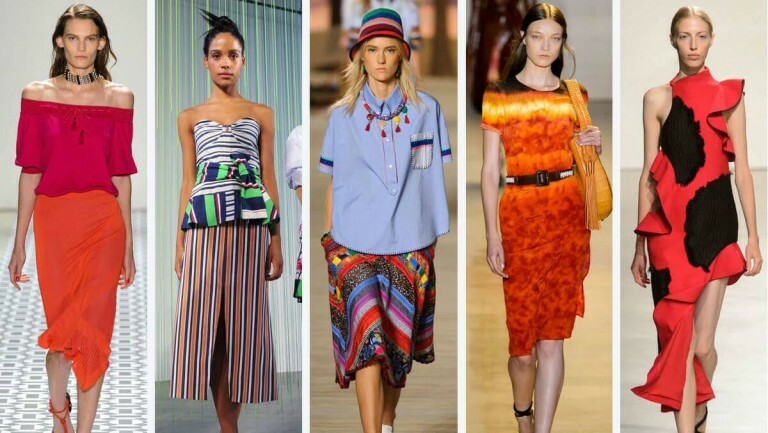 Color your life brightly with this season fashion trends. The emphasis falls on graphic patchworks of color combining all this year’s fresh takes. Minty tones and vivid orange hues are the safest bet for this year’s spring and summer. Mild blue hues and rose are just the right choices to start spring in style. The 1990s fashion trends were mined almost exhaustively for spring/summer 2016 fashion trends. It turns out that after the 70s became the sweetheart of fashion during previous seasons, the 90s had a lot to offer. If you’re nostlgic after the era of rave, grunge, minimalism, fanny packs and tracksuits, this is the time to revel into the bountiful comeback. There’s really an explosion of earrings trends out there and they’re all a must-try. Super long earrings are the go-to accessories this spring and summer and possibly all throughout the year. 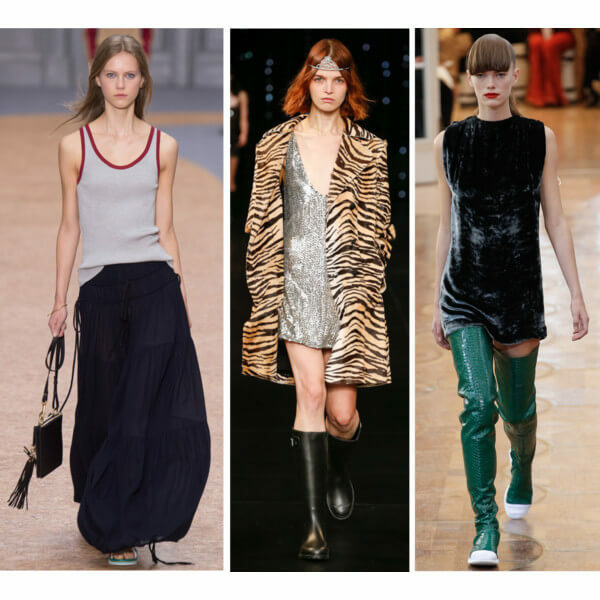 Shoulder dusters have been featured in all collections announcing this year’s spring/summer trends. The easiest way to wear them is in mismatched pairs, with one earring missing entirely one shoulder duster, one stud, and one ear cuff. This season is all about layering too. 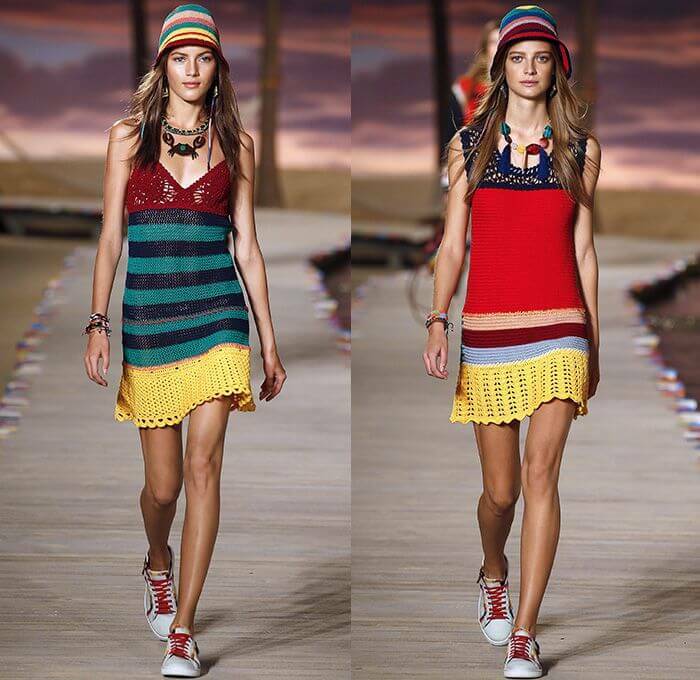 In line with a reiterated Boho style, the fishnet is present everywhere from vests to tops to skirts and dresses. A minimalist approach sees the fishnet included in wardrobe staples as a specific design detail that offers some transparency.